The B. 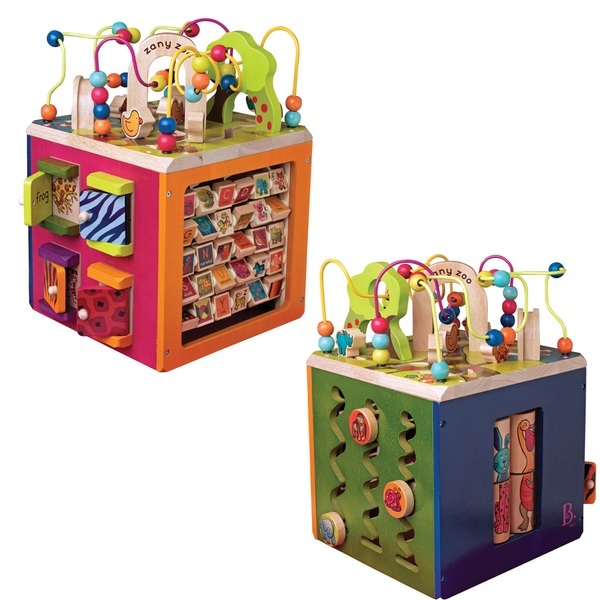 Zany Zoo Wooden Activity Cube has wacky looping stems to slide the bright wooden beads around. Pull the cute animal buttons along zig-zagging grooves or spin the cheerful spinners to make cute characters! With 5 sides of play this cube is perfect for little ones who are just beginning to learn their shapes and colours.